Human rights law is a complex but compelling subject that fascinates, but often confuses, students. 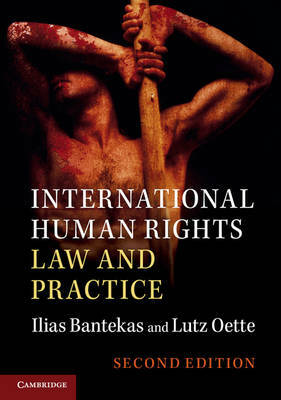 International Human Rights Law and Practice explores the subject from a theoretical and practical perspective, guiding students to a rich understanding of the law. The second edition has been fully revised and updated, including two new chapters on children's rights and international criminal law, and new sections on a variety of topics, including the right to equality, the protection of refugees and the effect of foreign investment and sovereign debt on the enjoyment of human rights. In addition, new case studies and interviews with practitioners, NGO activists and policymakers show how theory is applied in real life. Student learning is supported by questions to stimulate seminar discussion and further reading sections that encourage independent study. The authors' clear and engaging writing style ensures that this new edition will continue to be required reading for all students of human rights law.